Ibanez has a storied history in bluegrass and acoustic music. Even Bill Monroe explored the Ibanez line of mandolins way back in the 1970s. Once you hear these little 8-strings, it's not surprising. Designed under the premiere craftsmanship of Ibanez luthiers and using fine tonewoods, this Ibanez mandolin sounds great and will stand the test of time, without a high price tag. Built in the teardrop A-style platform, the M510EDVS features mahogany for the neck, back, and sides offering a crisp attack and lasting high-end sustain-ideal for chopping away in the rhythm or for shimmering solos. The top is spruce, contributing to a balanced tone that can rise above the rhythm of the other band-mates. 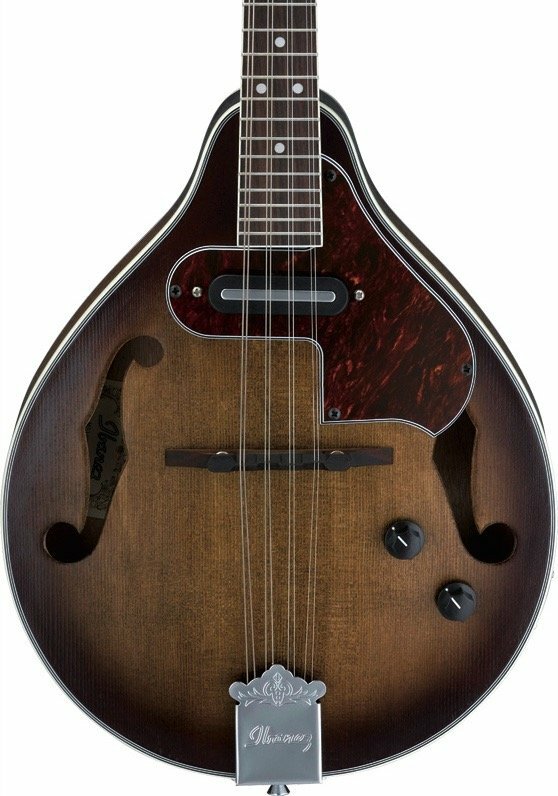 The M510EDVS's magnetic pickup delivers true mandolin sound. Just plug in and pick away, with volume and tone passive controls to customize and dial in your ultimate sound. Many other appointments set this Ibanez mandolin apart, including chrome hardware and tuners, rosewood bridge and fretboard, and the vintage sunburst finish.